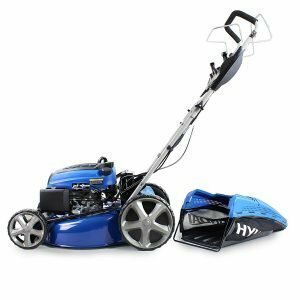 Moving up to something that will be suitable for medium to large gardens is the powerful and reliable HYM510SPE 173 cc 3.6KW lawn mower. 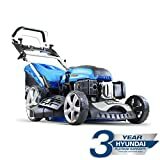 As we have come to expect from Hyundai, the motor is reliable, light on fuel and eco-friendly. 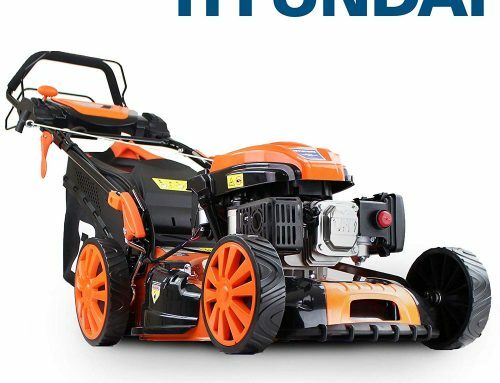 The Hyundai HYM510SPE is self-propelled so will get you around a large garden with ease even if there are slopes and banks to contend with. 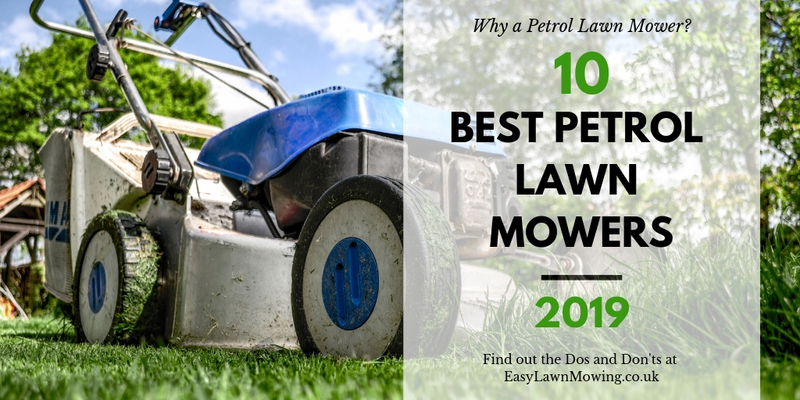 The 4-stroke engine delivers power to the rear wheels and gives you a choice of 4 mowing speeds. 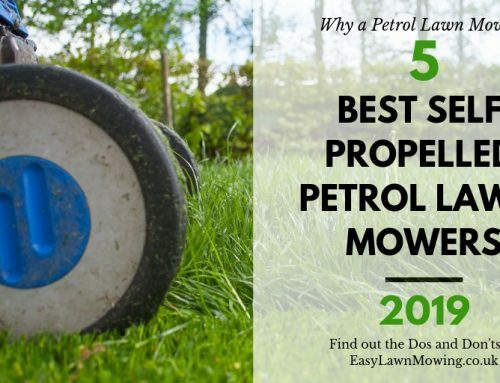 You can adjust it according to your cutting requirements and the size and nature of the lawn area. 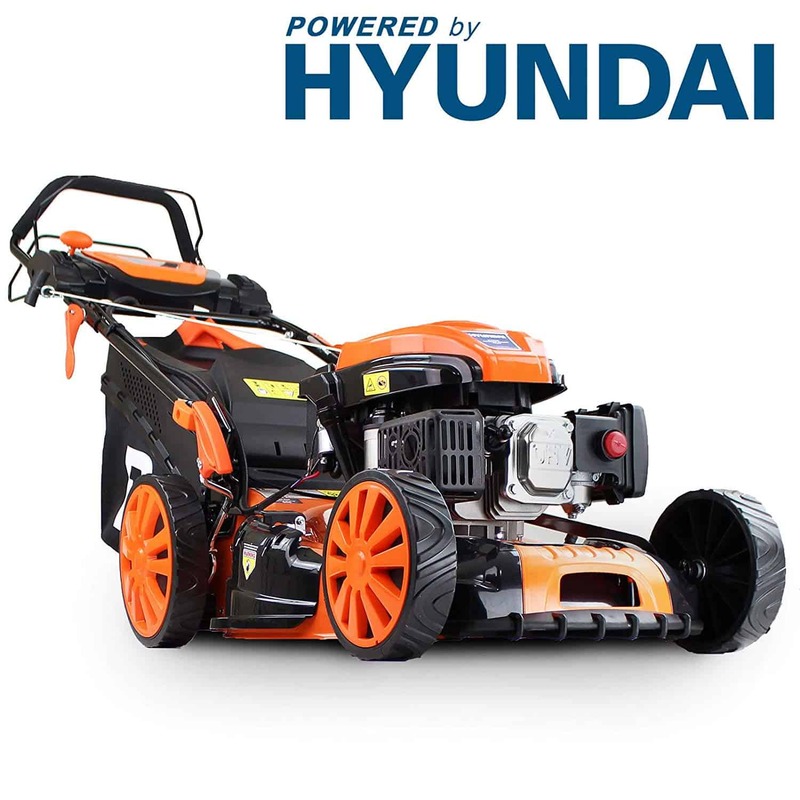 The Hyundai HYM510SPE comes with an electric push-button start so no need to pull on a recoil starter. It does have a recoil starter just as a backup. Cutting height is quick and easy to adjust via a simple lever. 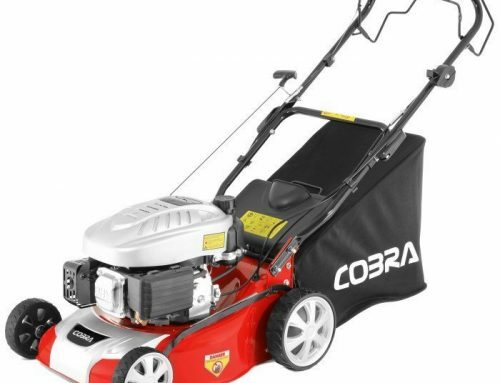 There are 6 height options from 25 to 75 mm for a perfect cut for your needs. The 51 cm cutting width and huge 70 L grass box on the Hyundai HYM510SPE will help you make quick work of even a large lawn. 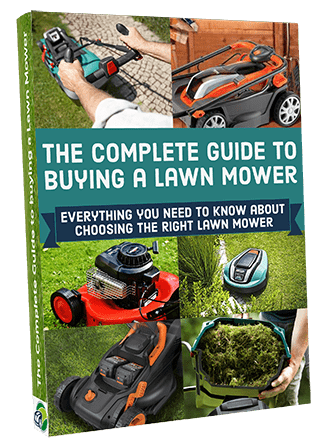 The grass box features a level indicator and is easy to take off or put on. Assembly is tool-free and a simple process. The handles fold back easily for transportation or storage. When in use, they are both strong and comfortable. 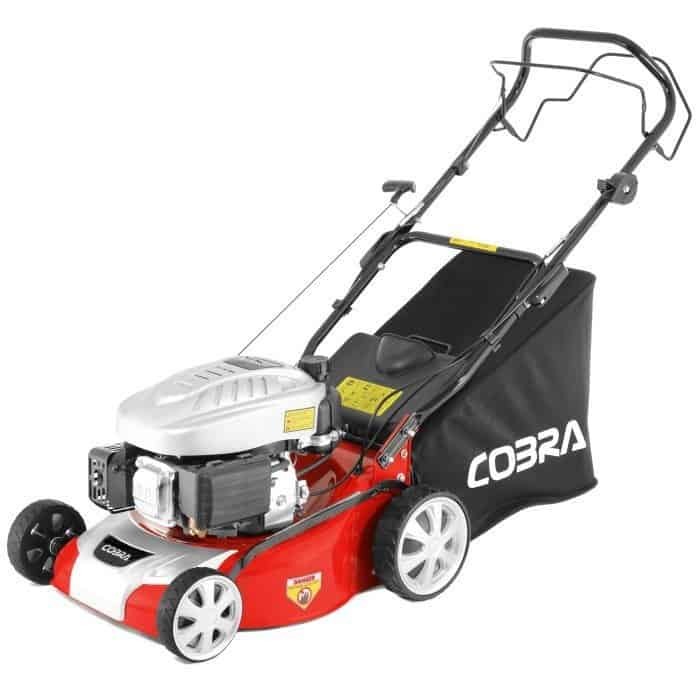 This model also features a rear discharge or side discharge chute as well as a mulching plug. 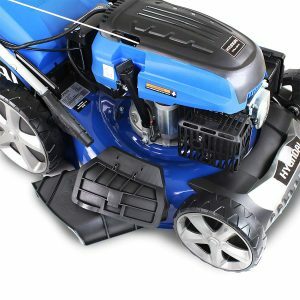 It has a hose connection to quickly and effectively clean the deck after use. 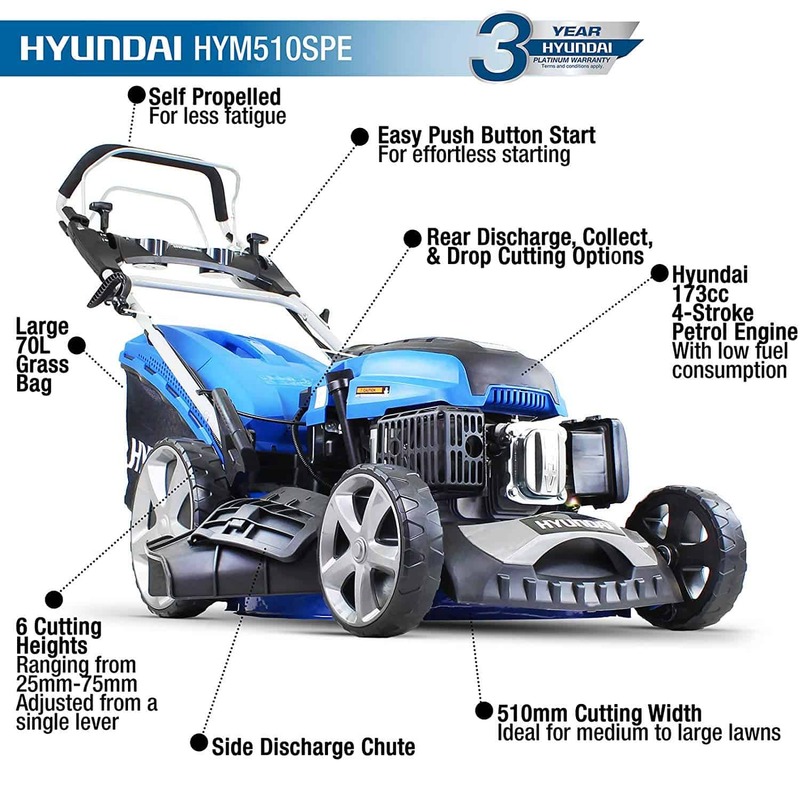 Another great advantage of the Hyundai HYM510SPE is the 3-year platinum Hyundai warranty. For safety, it has the OPC lever to stop the engine as soon as the lever is released. 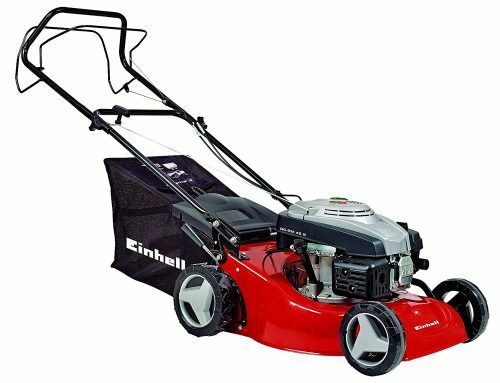 Overall, this is a well-made powerful lawn mower that is built to perform and last. 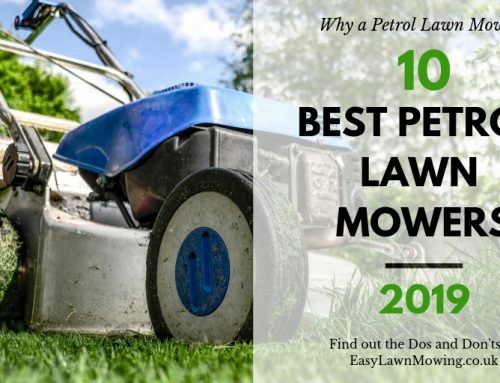 It is a great choice for larger gardens.